Four environmental groups and two Adirondack towns have written Governor Andrew Cuomo urging him to take immediate action to stop the storage of empty tank cars on a rail line between North Creek and Newcomb. In another development, Iowa Pacific Holdings moved another dozen or so tank cars into the Adirondacks on Wednesday. 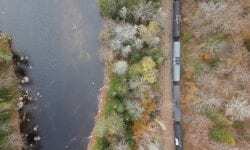 The company is now storing dozens of tank cars on its tracks. It has said it may bring in up to two thousand. Peter Bauer, executive director of Protect the Adirondacks, believes there are now more than seventy cars in storage. The first tank cars were left at a siding near the Boreas River, but Bauer said the siding is now full with about forty cars. There also are sidings at the old mine in Tahawus, where the line ends. Critics contend that if Iowa Pacific starts storing cars on the main track, it will violate the terms the easement that gives the company the right to operate on the line. 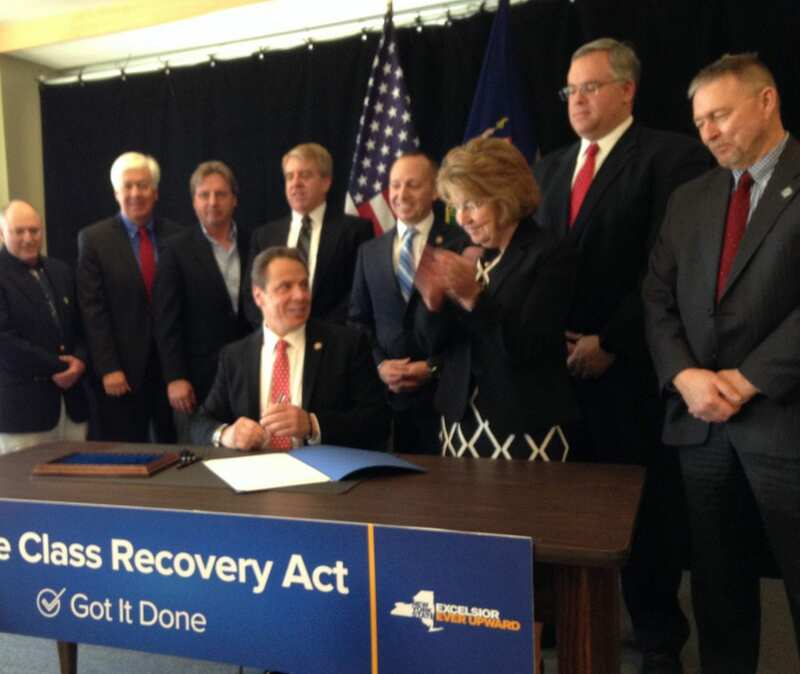 Protect the Adirondacks was one of the four groups that sent a letter to Cuomo on Tuesday. The others were Adirondack Wild, the Adirondack Council, and the Adirondack Mountain Club. The supervisors of Newcomb and Minerva, where the tracks are located, also signed the letter. Iowa Pacific President Ed Ellis insists that the regulation of railroads is a federal matter and so the state has no authority to intervene. The towns and the environmental groups disagree. 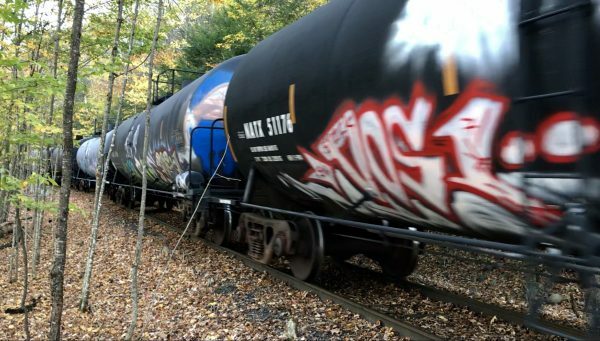 “We believe your agencies are not without jurisdiction and that you have other options too, so that the storage of these tanker cars in the heart of the Adirondack Park can be immediately terminated,” the letter states. The federal government created the rail line during World War II to ship titanium ore from the Tahawus mine. After the war, it extended its easement until 2062. Iowa Pacific now owns this easement. The environmental groups contend the easement is only for transporting material from the mine. If tank cars are blocking the tracks, the purpose of the easement is thwarted, raising legal questions. In an interview with the Explorer last week, Neil Woodworth, executive director of the Adirondack Mountain Club, laid out a legal case against Iowa Pacific if it blocks the tracks. Click here to read that article. Iowa Pacific wants to ship waste rock from the mine, but so far it has not been able to find a way to do so profitably. In fact, the environmental groups note in their letter that the line has not been used since 1982 and could be considered abandoned. In that case, they say, the rail corridor should revert to its original owners, including the state (thirteen miles of tracks traverse Forest Preserve). Ellis insists that the storage of tank cars is temporary and that the company still hopes to haul rock from Tahawus. Iowa Pacific says it needs revenue from storing cars to recover some of the cost of maintaining the line. It also would help keep afloat a tourist train the company runs between Saratoga Springs and North Creek. Click here to read more of Ellis’s position. It’s thought that most of the tank cars are owned by UTLX, a company that manufactures and leases tank cars. UTLX is owned by Berkshire Hathaway, the company of billionaire Warren Buffet. The Explorer has called Berkshire Hathaway several times in the past few weeks for comment. None of the calls was returned. 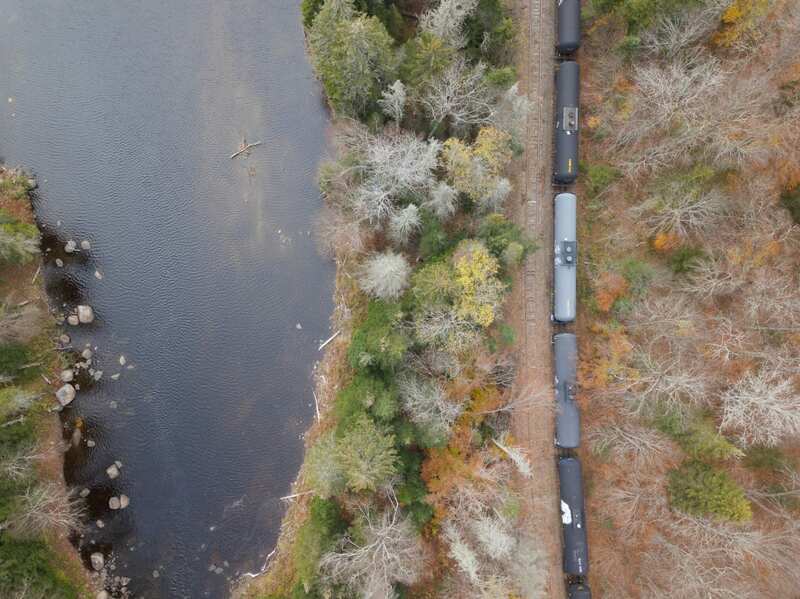 The environmental groups say the storage of tank cars may require a solid-waste permit from the state Department of Environmental Conservation and may violate the Wild, Scenic, and Recreational Rivers System Act. “We look forward to your administration taking the necessary actions in the immediate future to ensure that this activity is stopped, the tanker car storage ended, and that the rail spur is remediated and again available to serve a positive public purpose appropriate for the Adirondack Park,” the letter concludes. Why don’t you call UTLX? Berkshire wouldn’t have any information for you. They are just the financial firm that holds the company.